Some of you have been wondering what will be the next destination after the desert. Will the temple be in the desert, or will you travel from there to a different kind of area where the fourth temple will be found? Well, the truth is that once you leave the desert, you'll happen upon a little port town. 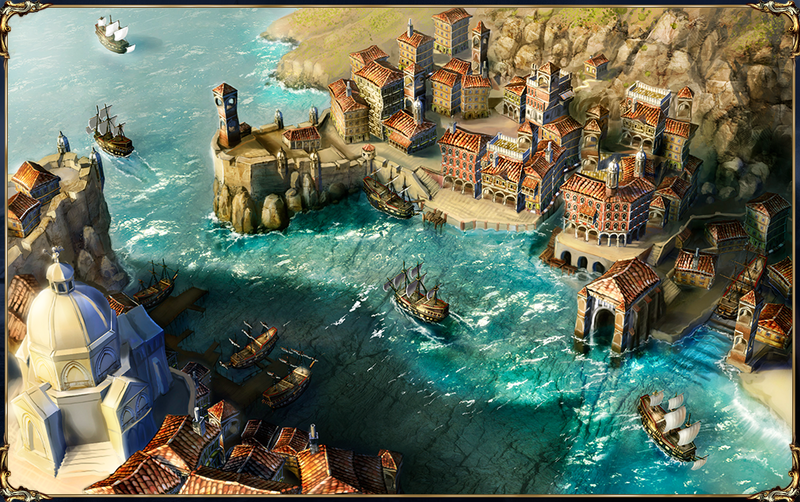 And not just any port town, but a town run by bandits and gamblers, oh my! 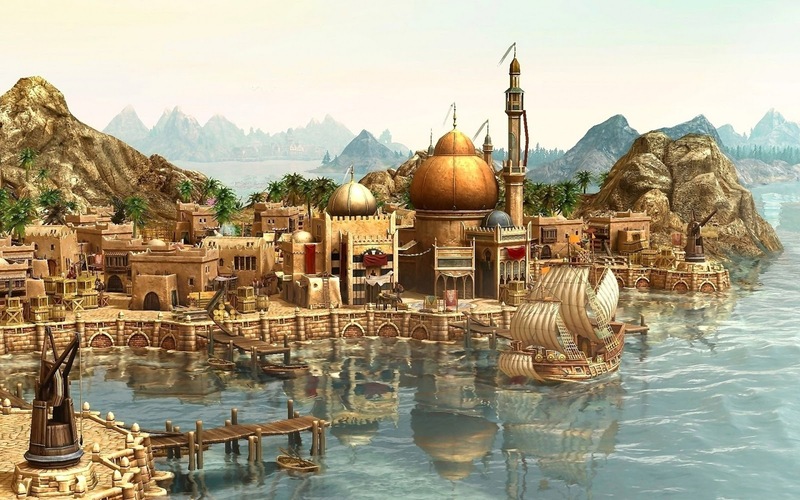 From this little town you'll then travel by boat to the fourth temple, which I'll talk more about at a later date - for now, it's all about the port town! So, what we know is that the town will be next to the sea, and that it'll be run by bandits and gamblers (one of the buildings we want to include is a casino). What we don't know is whether we'll go for a 'traditional' looking port town graphic wise, or if it should be more shady, giving the bandit theme a bit more weight. Regardless of what we decide upon in the end, we'll try to keep this town quite small in scale. Probably closer to Startington in size rather than Evergrind City (though most likely it'll end up somewhere between the two). We don't want the player to feel overwhelmed by discovering a whole new city at that point of the story, as we'll actually be closing in on the end! Nice idea. :) So it is run by bandits and gamblers? I feel a third fight against the Ferrets coming up there. A small town is always nice, though I like that you keep it rather small and short as there has been going on a lot of town related stuff till then (including the third dungeon, which is a town even if different). Hmm, the fourth temple won't be a desert dungeon then? Awww, I was hoping for one. Please tell me it won't be a pirate themed dungeon (as yeah I confess I'm not a fan of priates at all, especially of the undead sort - think Pirates of Carribean)! Anyways I'd personally go with option b or c as far as the look of said town is concerned. 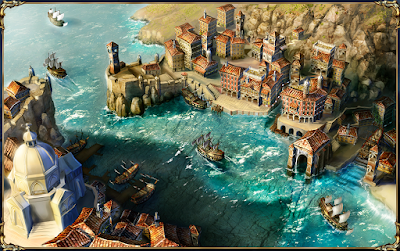 I really love the idea of a port town, the game certainly needs one. I would personally prefer the port to be more shady, dark and foggy like in the first image. The thought of a vibrant port town like the other image is not for me. I am excited for more information on the last temple, (4th is the final temple right?). This sounds like a good way to get your Steam Early Access players on board. Make a forum post on the Steam forums and setup a major vote!